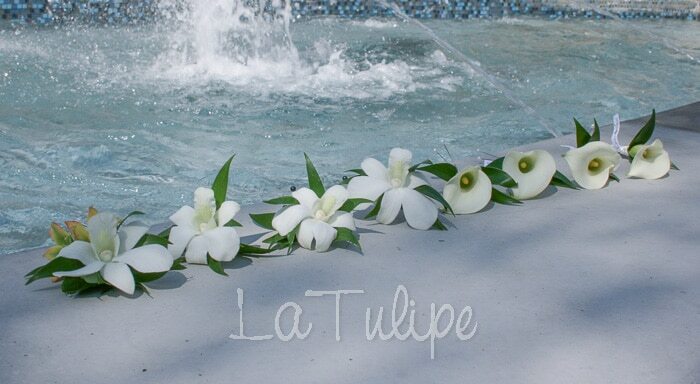 Tiffany choose some colorful flowers to decorate her special wedding day at Occasions at Laguna Village. 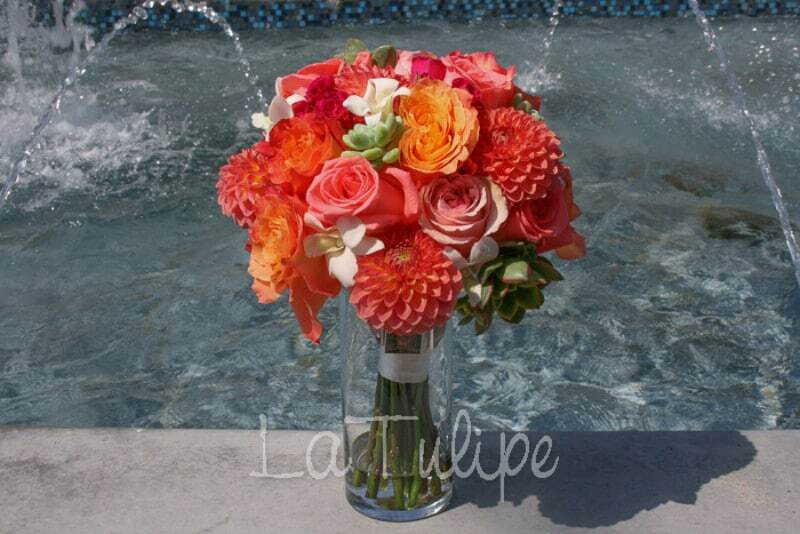 We love the beautiful color combinations that really make the arrangements come to life. 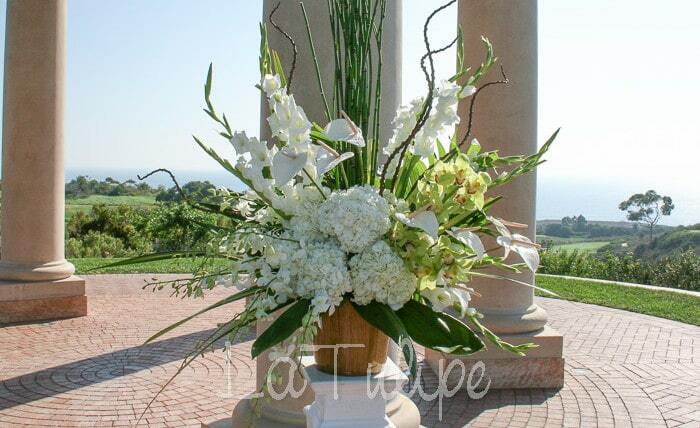 Her bridal bouquet really stands out next to the white hydrangea bridesmaid bouquets. Tiffany’s bridal bouquet is designed with coral dahlias, white dendrobium orchids, movie star roses, free spirit roses and succulents. 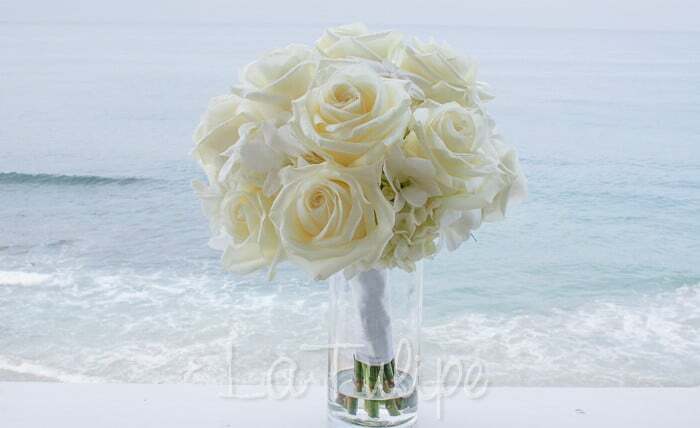 The bridesmaids bouquet is designed with white hydrangeas. 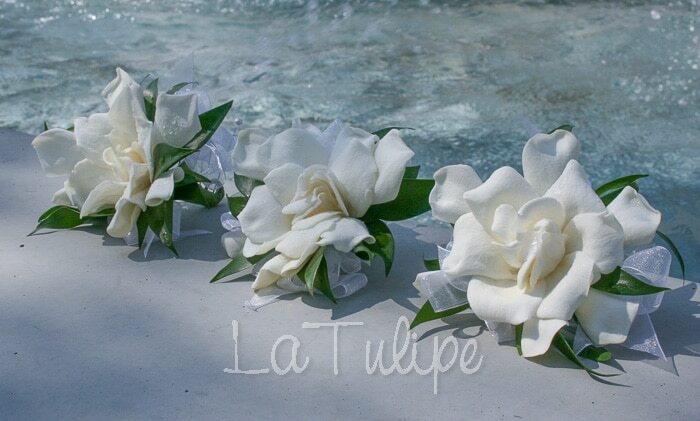 The women’s corsages are designed with gardenias. 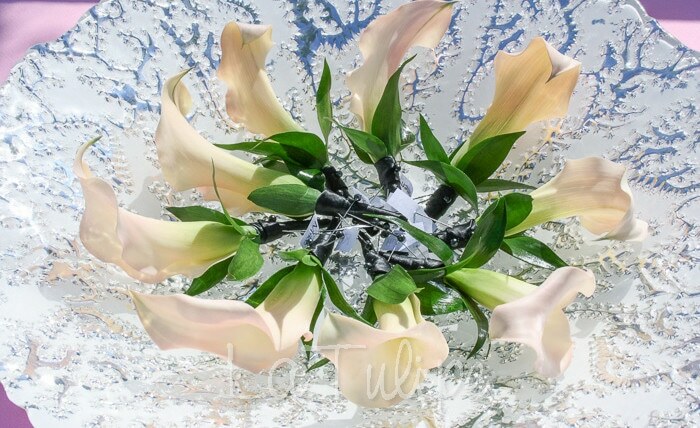 The four boutonnieres on the left are designed with white orchids, the four on the right are white calla lilies. 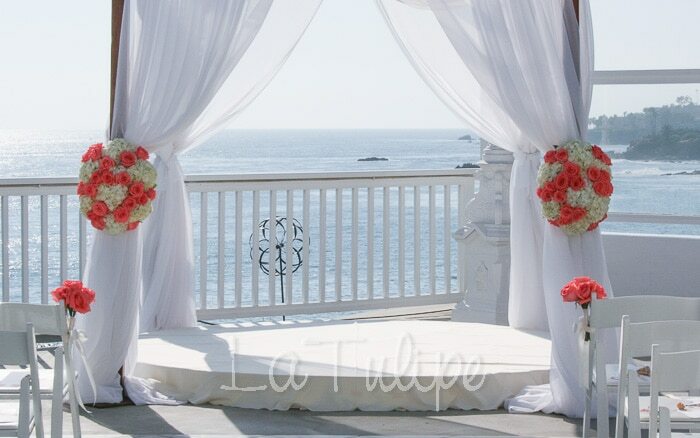 The altar canopy arrangements are designed with white hydrangeas and coral movie star roses. 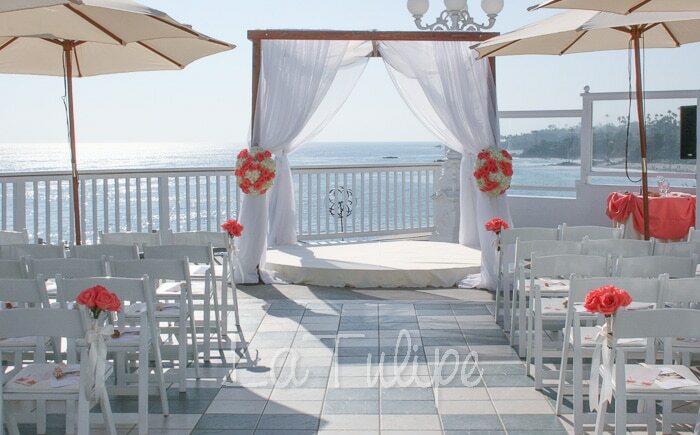 The aisle guest seats are decorated with coral movie star roses. 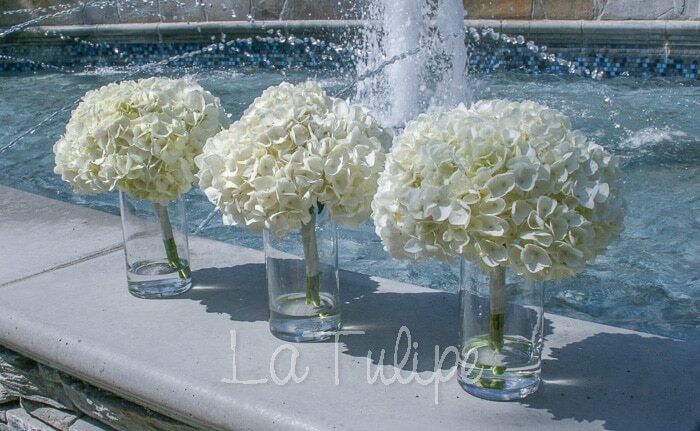 The reception centerpieces are designed with white hydrangeas and baby’s breath in a cylinder vase with seashells. 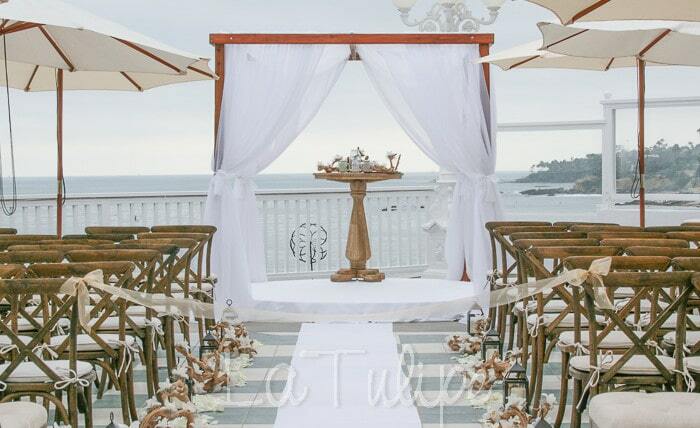 The aisle petals are white polar star roses. The wedding cake is adorned with coral movie star roses.